Ryan's Smashing Life: Horrors - New Single! New Music on the Move! 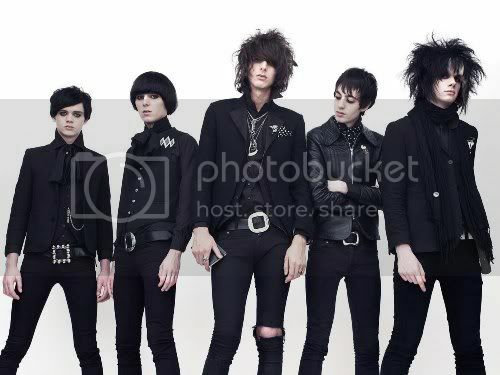 After a second album that was one of our Favorites of 2009 (and we weren't alone, it made the lists of the NME, and the Mercury Music Award committee), The Horrors will return on 26th July with a third album, called Skying. Lots of their plaudits over the last few years have cited the excellent movement between the first album, which was almost Goth metal, and the second, which was an off-kilter experiment in dark rock (thanks in part to the involvement in production of Portishead's Geoff Barrow). 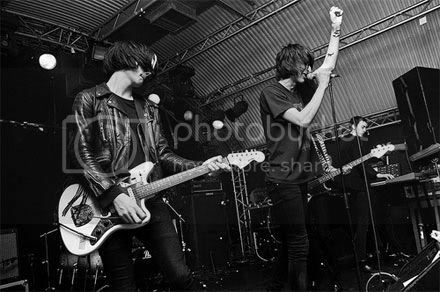 If the new single "Still Life" is anything to go by, no one can complain that The Horrors are regurgitating old ideas. The violence of early single "Count in Fives," which was replaced by mountainous second album single "Who can say" has now become something which sounds far less sinister in "Still Life." The central lyrical hook of the chorus is "When you wake up, you will find me" - a sentiment which seems almost romantic. The band were never simply angry in every song up to this point, but here the lyrics are in keeping with a general lightening of the mood, which is something I've never heard from them before. It remains to be seen if the new album will consistently stand out in this way. It is an intriguing possibility for listeners, but also a risky strategy for the band. We wish them luck.